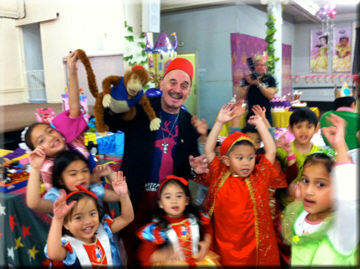 We had a good time on Saturday 31st August 2011 All the kids enjoyed you and we were very pleased with your magic performance. We will definitely have you back for our funday next year if you are available, and I have passed your number to a couple of parents who requested it. You made Parents and children with the smile on their faces. Thank you so much for today. 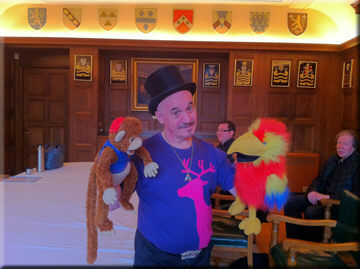 It was a huge success and I think the grown ups enjoyed your show as much as the children. 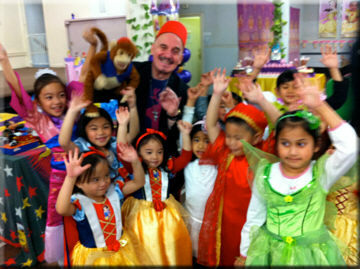 I would like to say a big thank you to you for the wonderful entertainment at my daughter Shaniya's party on sunday. We all thoroughly enjoyed it, even the adults! I will definitely recommend you my family and friends. HUGE thanks for magic, music, balloons and your generosity of spirit! We ALL had an incredibly lovely time yesterday, and la princepessa Liv was and still is beaming with joy. I brought her to nursery earlier and met some of the parents and children who were at the party - they all greatly complimented you on your skills and wonderful way with kids. I'm confident that we will see you again!" A BIG THANK YOU for perfoming at our girls' Bday party on 6th Sept in Richmond!!! Everyone enjoyed the party very much and loved your brilliant magic tricks making things appear or disappear at once, your beautiful and fun balloons, your various entertainment games!!! You made the 2 birthday girls feel very special that day. 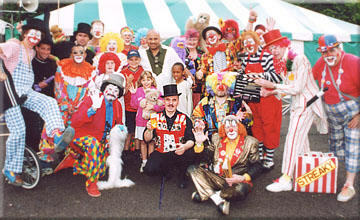 A lot of girls told their parents that they want to have you at their next parties and some of them said that this was the best birthday party they had ever been to before. We appreciate your great work and are wishing you a lot of success. We will definetely recommend you to our friends and other parents." 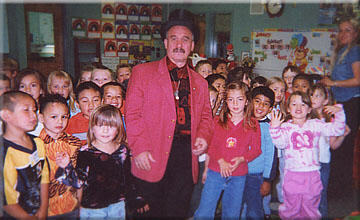 "We want to thank you for coming to our elementary school in America to give us a magic show. It was on a level the children could understand. It was also professionally presented. We all loved it! The teachers send their regards and best wishes." 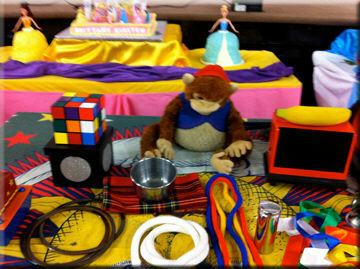 "Thank you so much for the really brilliant show you did for us this weekend at Amalie's birthday party. From the moment you started the kids were riveted and enthralled, and you kept them (and parents) entertained and laughing for the best part of 2 hours - an amazing feat. We were also so impressed with the fact that your act was pitched at just the right level for 5-6 year-olds, they simply loved it and Amalie has said she would like you to perform again at her next birthday party! So thank you again - for a great show and for taking the pressure off us with ALL those kids (nearly 30!) You made the party a great success." "I would just like to say a BIG Thank you to you and Franco who was fabulous at our Children's party, when you have children from 18 months to 9 years it's not easy to keep them all entertained, but he did!! Franco was kind enough to stay until the end and helped with all the games, I hope he had enough to eat and drink too. 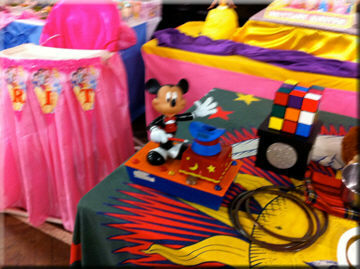 A soon as we have arranged a date for next year's party we will be calling to book again." "Thank you for sending Mr Franco to our party. He was fantastic and you were right - he was the perfect man for the job! We hope to be able to justify having another party soon." 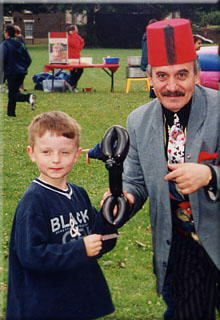 For many years now charity has been almost a religion for Franco the Magician. Franco is never more happier than when he is actually trying to help the underpriviledged by either assisting in raising funds or helping charities to make things happen by performing. Franco is delighted to be associated with the 'Forces Children's Trust', a charity devoted to working to help children in need whose father or mother has died, or has been seriously injured, whilst serving as a member of the British Armed Forces. Who Else Wants A Fun, Stress Free Children’s Party? You’re grateful that Franco is with you early (usually about 20 minutes before the start of your party) to make sure everything will run smoothly. The fun starts immediately the first youngster steps through the door; coins appear from ears, big surprises all around will have the children’s mouths dropping open with amazement and wonder when those very same coins disappear into thin air. 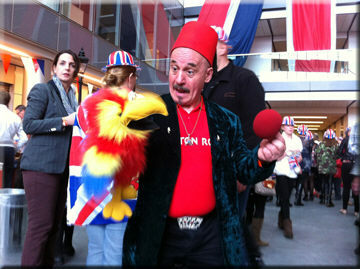 Laughter is in abundance as the children get into the party spirit and that’s just the warm up before the show starts! 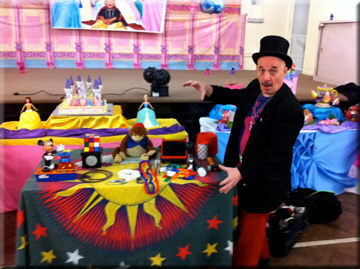 The show is full of colour and magical happenings that the children laugh their socks off at. The 40 minute show flies past in a flash, but the children will remember it for weeks, often months and sometimes years after. The birthday person takes an active part in the show if s(he) wants to and makes the magic happen, much to the surprise of Franco! They make their friends laugh but of course all the children are involved in the pantomime style show right from the start. Franco’s balloon modelling routine is a great highlight with the party person receiving a special balloon model. 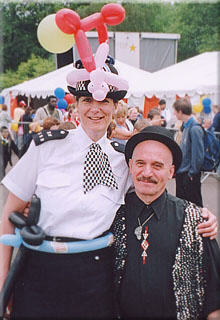 Balloons can be arranged for everyone at a small additional charge. 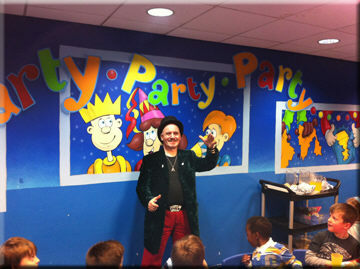 The party food follows and Franco will help you organise the children to make sure this often stressful part of a children’s party goes as smoothly as the rest of the festivities, just as you would expect from a true expert in the field of children’s entertainment. After the party meal, is the important ceremony of the birthday cake. The usual routine, which is sometimes a bit stale, is brought to life as Franco adds fun and some novel ideas whilst holding on to all the traditions. 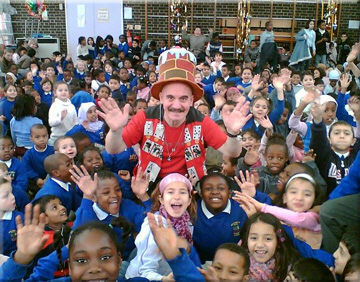 Next up is the party games, not just the oldies and goodies but a whole series of great games that master children’s entertainer Franco has invented over his many years as an entertainer. The children laugh as they see their friends attempting the Limbo dance and applaud the youngsters that are good at it, or just have a good attempt!! 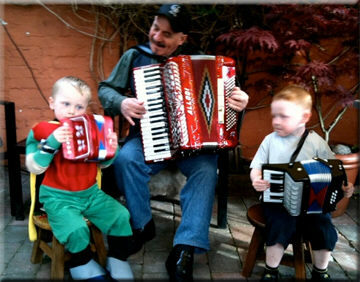 You will see the children dancing to his music one minute and then perhaps enjoying a quieter sitting down game the next minute. Franco has the happy knack of knowing the right thing to do, just by instinct and experience. You can add to the fun with Franco’s junior disco complete with flashy lights and bubble machine for a small additional charge. You can choose from the whole party (most client’s pick this option) where Franco looks after the children for the whole 2-hour party. 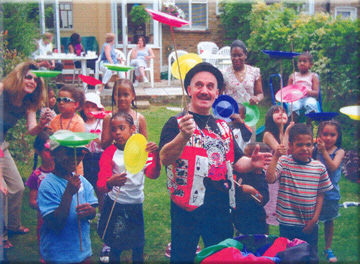 If you prefer a one hour magic and balloons show this is of course available to you. 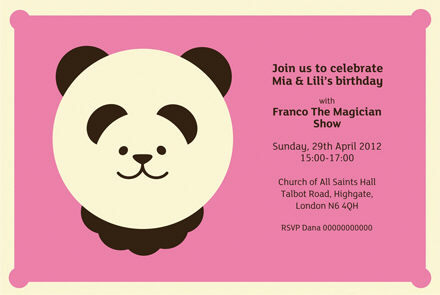 You can add the great Franco Party Bags to your party; this makes your life easier and saves you lots of money!!! You only pay for the Party Bags you use, so no feelings of wastage. 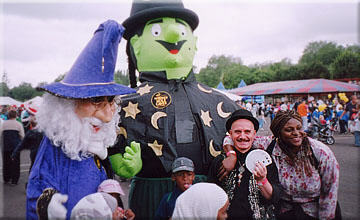 If for any reason what-so-ever, you do not agree that the magic show at your party is the best you have ever seen, that the children were sitting boggle eyed and laughing all the way through, that his games are great fun for the children, and importantly his personality with the children is fun, professional but always in control, then simply tell Franco at the end of your party and he will cancel your bill and you will not owe him a penny. Simply put you must be ecstatically pleased that you booked him or your party is free. Of course there is absolutely no obligation on your part. Call now he is waiting for your call, you’ll be pleased you did.